This article follows on from the previous post on “How to set your Cloudflare web application firewall to simulate mode“. 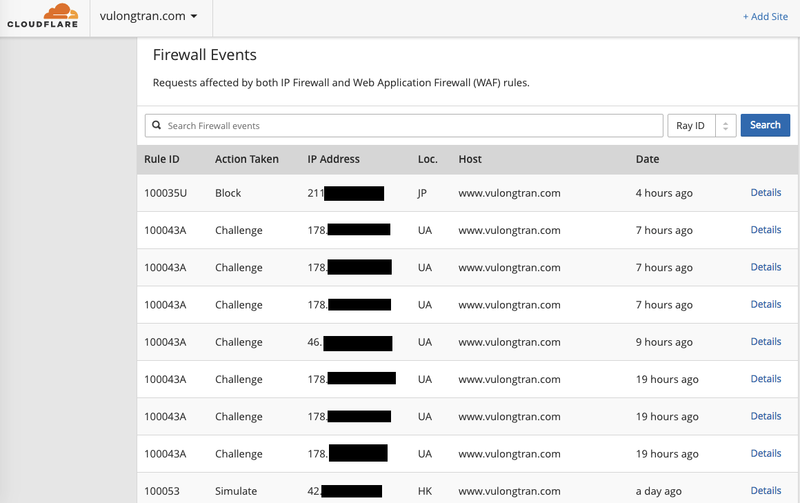 Ideally, you have been able to set your web application firewall (WAF) to “On” and it is now tracking events as “simulate, block, or challenge” modes. You can check your ‘Firewall Events” log in the “Traffic” tab and changing settings in “Firewall” tab. This Firewall Events section will detail requests affected by both IP Firewall and Web Application Firewall (WAF) rules. You should be able to see a list of firewall events. Here’s a brief legend to help you make sense of what the “Action Taken” means. 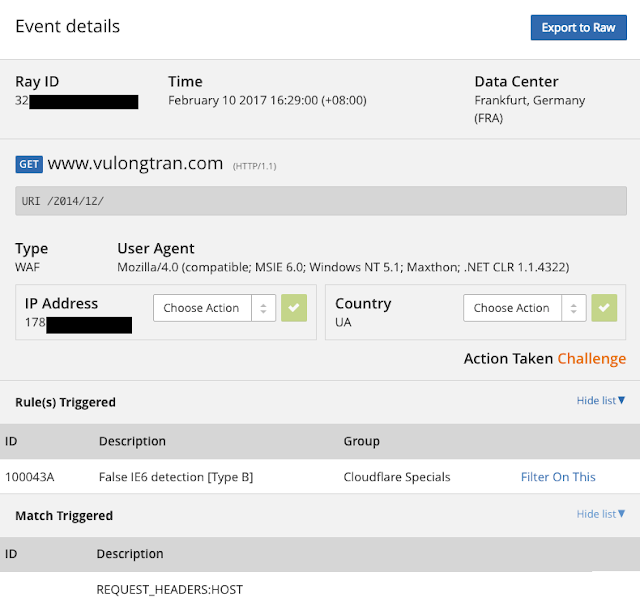 Challenge: Will display a challenge (captcha) page before the visitor can enter the site to simulate and start tracking firewall event actions it would have taken. View each firewall event for more details by clicking on the “Details” link. That way, you can find out more information and do more research as to whether or not it is a legitimate attack or not. You might be wondering, why not block or challenge everything? Well, depending on the nature of your business and markets, you may be still dealing with customers using very old browsers or technologies and balancing the pros and cons and the risks associated. Search for the Cloudflare Firewall rule ID and search for the rule. Then review and choose your selected action mode (“Mode”).